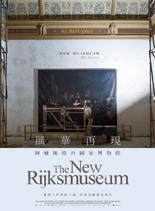 A documentary about the fascinating and complicated process of the rebuilding of Holland's most famous museum, The Rijksmuseum. The film shows the people behind the scenes during the years of demolition, restoration, and political and financial debate. We witness their efforts, joys and struggles with one goal in common: the love of art.